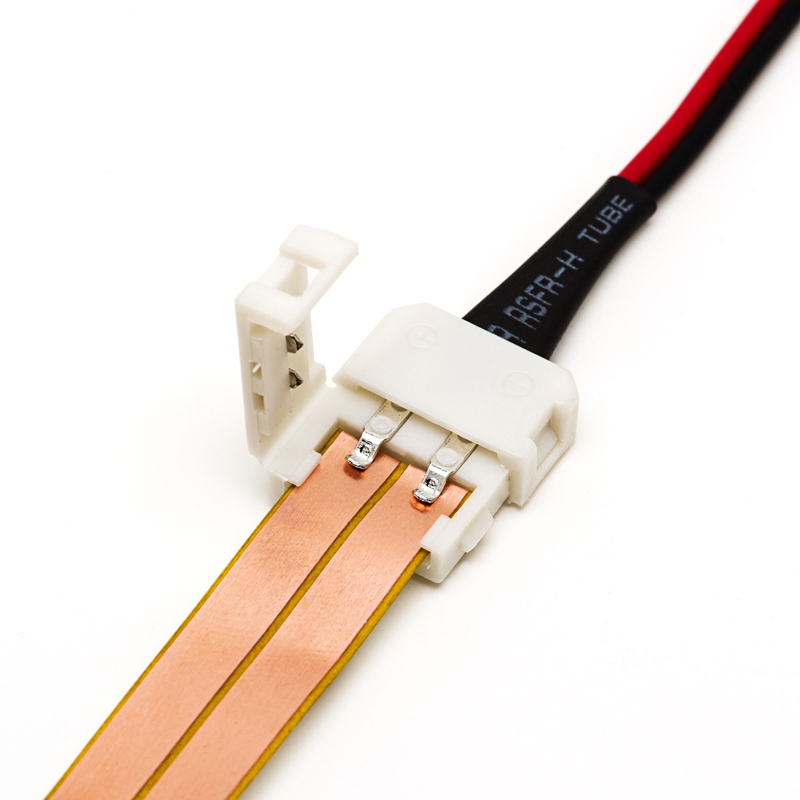 10mm Flexible Light Strip Solderless Clamp On Pigtail Adapter. 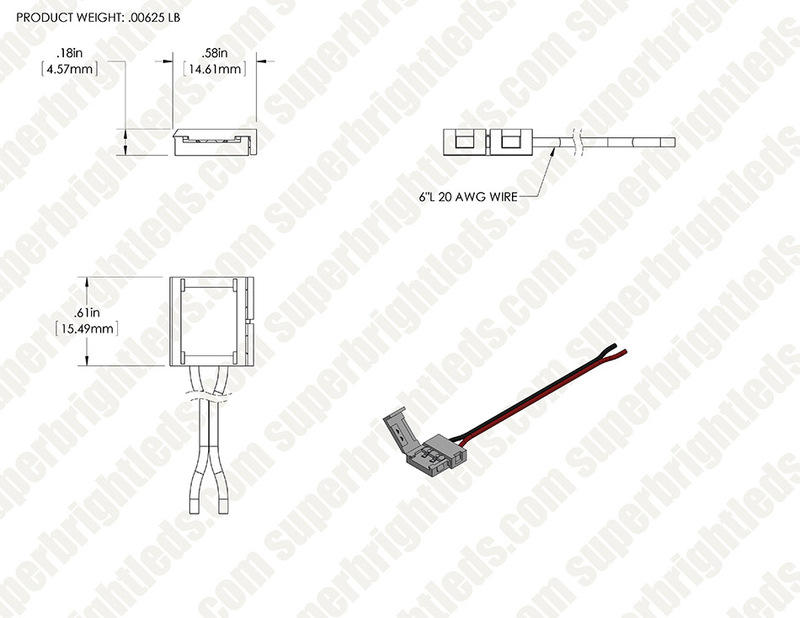 Use for connecting NFLS-X3 Flexible Light Strips and Strip segments. 16.25cm(6.4in) length. Product works great on the proper size strip. When installing, just insure that adhesive on strip lights is cleaned prior to connecting. Never had any problems with connector working the first time. 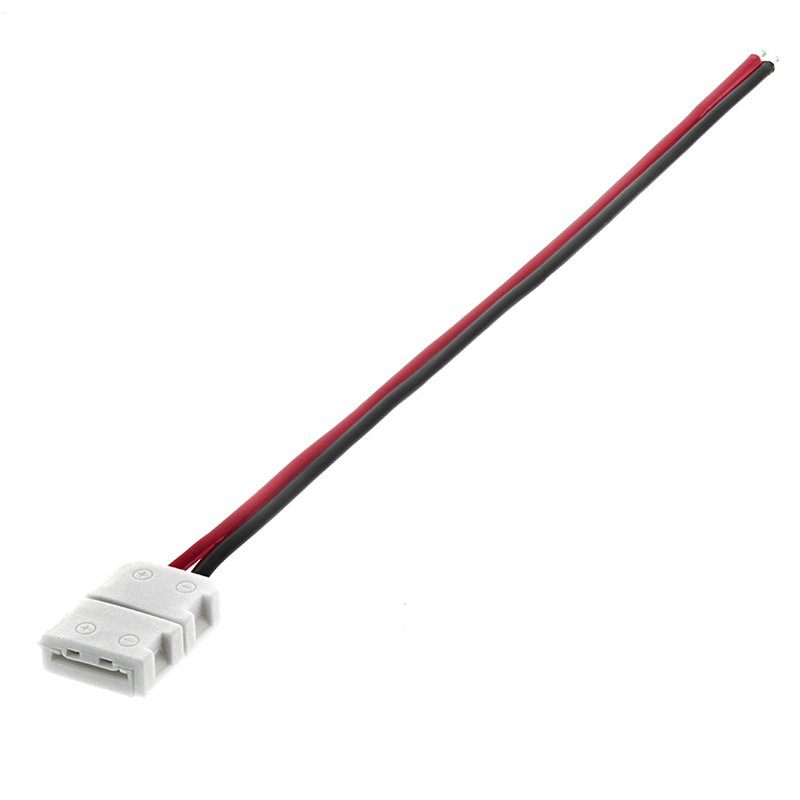 These connectors are very easy to use and work well!! Low cost. Male LC2 Locking Connector Cable for LED Strip Lights - 10mm Single Color Strips - 7.5"